Today I was doing all the math and I realized that I am just 7 weeks from the end of this project. Over the last 11 months I have taken 2320 photos, averaging 7 posts to Instagram a day. Today as I rolled into the second half of November my younger brother Gavin stopped by with his girls for an impromptu visit at the house. 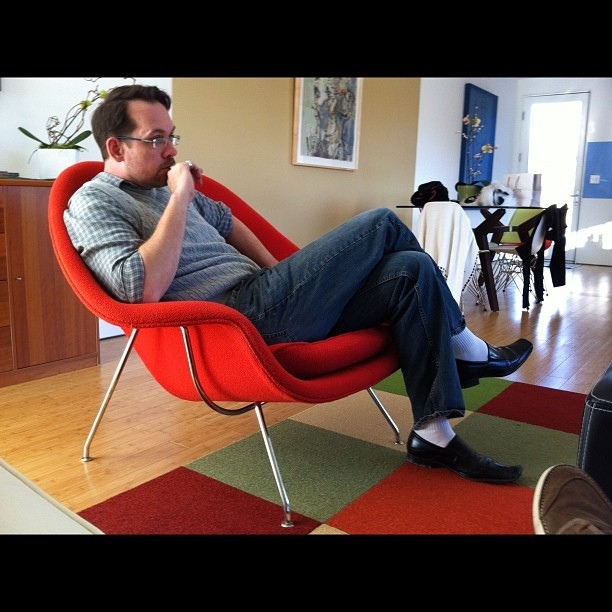 This is Gavin sitting in the sun filled living room in the George Nelson womb chair. With this entry he makes the final project piece, and will be included in the project release in January 2012. Posted in Instagram 365 Project, Postaday 2011 and tagged Instagram, Instagram 365, Instagram 365 Project, postaday 2011, postaday2011 on November 12, 2011 by Author.